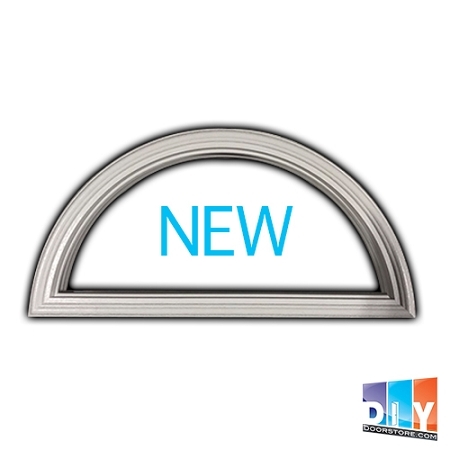 *Improved material performance "Won't yellow or warp"
*Outside of frame dimension = 23 3/4" x 11 3/4"
*Glass Size = 21 1/2" x 9 1/2"
*Door cut opening for 22 x 10 is exactly - 22 1/2" x 10 1/2"
great product - great fit. Had to pre-drill the screw holes for easier attachment. Took two of us, but easy do it yourself repair! The trim fit perfectly. I had a twenty year old Stanley door. It was a little hard to get the screws tight. I just used a screw gun. The trim was slightly smaller than the old trim. The price was cheap and the shipping was fast. Fit perfectly. My husband tried for weeks to get this ordered at a chain store and continued to get the run around. I ordered the item. Here in 4 days. Thanks! Product arrived quickly, but without the plugs which I had to go back and order. Waiting to see how company handles. Otherwise good product just arrived with parts missing.